We invite you to book your ad space now as the guide SOLD OUT early in 2015, 2016, 2017, and 2018! We are offering new premium placements (pages 4 through 7), as well as three unique opportunities to insert promo items into the magazine (postcard and tip on or bind in pieces). Publication read in 135 countries on all continents! Boston Pride wishes to thank all our advertisers who have supported this endeavor over the years. Your financial contributions have made this project possible, supporting​ ​the​ ​enhancement of​ ​the visibility and education of the LGBT community​ ​in New England​ ​and around the world.​ ​Thank you! We also would like to express our​ ​gratitude​ ​to all our contributors who work very hard t​o ​offer​ ​new, innovative​, ​and insightful stories​ ​to the Guide​ ​each year. Your dedication to our community is​ to be ​laud​ed​;​ ​we are​ ​very grateful​ ​for your talents and service. 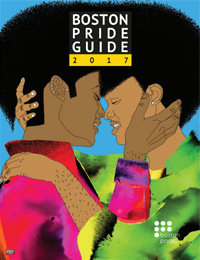 The ​Boston Pride Guide is the​ official​ annual publication of The New Boston Pride Committee, Inc., ​DBA Boston Pride. It is produced ​entirely in-house with ​an all-volunteer editorial and management team. ​The Guide is distributed in ​25,000 print copies ​to over 510 locations in New England. ​The publication i​s also available in​ a​ digital format, and, as of ​May 21,​ 2018,​ has​ garnered 50,000+ ​reads and 380,000+ impressions. The ​Pride Guide ​has been​ read in 131 countries on all​ ​continents! 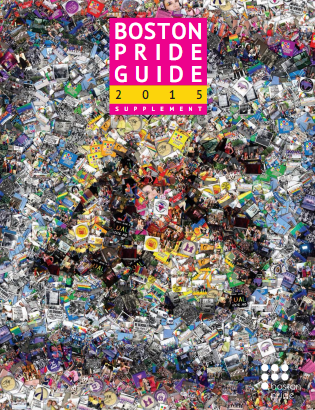 ​As the official magazine of Boston Pride, it ​is the ​go-to ​source ​for all​ Pride​-related​ information — ​fresh and ​direct from the ​organization that plans the annual events and programs. 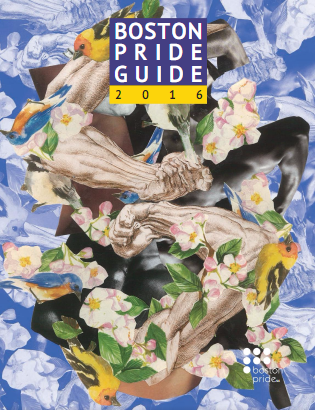 Print copies are ​made ​available at all​​ Boston Pride events. Ad space reservation is now open. Click here to book your ad space! Story submission is now open. Click here to submit a story idea!